You are here: Home / Christian Talk / The Truth of Genesis: A View Of Zionism, Part 2 – Where Did It Start? 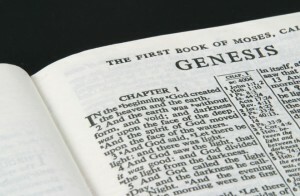 The Truth of Genesis: A View Of Zionism, Part 2 – Where Did It Start? (ThyBlackMan.com) In the fifth month (Av), and the ninth day of that month, in about the year 576 BC, the first Temple was destroyed by the Babylonians. As Nebuchadnezzar and his army was besieging Jerusalem, The prophet Jeremiah and several priests took the sacred artifacts from the Holy of Holies in the Temple, lowering the whole room down the secret elevator system that King Solomon had installed, just in case an event such as this ever happened. The room was lowered into the cave system, and hid the Arc of the Covenant and its accompanying furniture. In 1st Kings 7:13-21, we read that two hollow pillars of brass, twelve cubits in diameter, and eighteen cubits high were positioned in front of the Temple. They each had chapiters of brass which were five cubits high. In order to make a long story short, the weighted chapiters sat atop the two pillars which were filled with sand, for a sand activated hydraulic elevator system. But when the Chaldees (Babylonians) ransacked the Temple, and carried off all which they could, the furniture of the Holy of Holies wasn’t found. What ever happened to the Arc of the Covenant? Yet as you read in 2nd Kings chapter 25, the chapiters were seen to be only three cubits each. What happened to the two missing cubits on each of the two chapiters? They sunk into the pillars. For when the chapters were pulled away from the hollow pillars, the chapiters were once again seen to be five cubits in height. The ceiling of the Holy of Holies was lowered to become the floor, so that when the Chaldees entered the room to plunder it, all they saw was an empty room. Solomon had it engineered that way. Jeremiah and his chosen priests had lowered the room of the holy of Holies into the tunnels below the Temple. The furniture was hidden inside Mt. Moriah, where the blood of Yeshua streamed down the cross, into the cracked rock, and dripped upon the West end of the Arc, still in the hidden room. For on the East end of the Arc, animal blood was dripped by the priest annually in order for the people to receive forgiveness of sins for one year. When the House of Jacob was carried away into Babylon for 70 years, the Jewish faith began to splinter into several sects. The main ones were the Pharisees, the Essenes, Sadducees, Zealots, and the Scribes. It would not surprise me if the roots of Kabbalah also began in Babylon. Many of the people were searching for answers on why God did not protect them from the Chaldees, and somehow defeat their army. The sects that sprung up used this opportunity to proclaim their own doctrine of “why”, and how to once again become an independent powerful nation. Once every seven years, there was to be no planting of the fields, and allow the land to rest from seeded growing of crops. At first, the people did this, for about 475 years. But 25 years into the reign of Saul, the people stopped obeying the ordnance of Yehovah, and planted every year. For 490 years, from 1077 BC until 587 BC, when Babylon overran Jerusalem, the people did not allow the land to rest. So for every seven years that the land was not allowed to rest, the Hebrews (Judah & Benjamin) were taken captive to Babylon, and forced to stay 70 years, which was 490 divided by seven. It was the fault of King Saul, because during his reign, the law of God was abandoned, starting in 1077 BC. King David was not crowned king until 1062 BC, and Solomon in 1022 BC. So the people brought calamity upon themselves. No one stood up and reminded the people to allow the land to rest. So “rest” was forced upon the land by the people’s absence from the land. Instead of taking a step back, repenting, and reviewing what they did wrong to cause their captivity, many of the people divided into sects, developing different (non Torah) doctrines, and seeking ways to rebuild the Temple that was destroyed. Let’s give Ezra and Zerubbabel credit for taking action to build the second temple, returning to the land after 517 BC, and the decree spoken of in Daniel 9:25, being given in about 455 BC. Then 483 years later, in March of 27 AD, the Messiah emerged from the wilderness, when John proclaimed “Behold the Lamb of God, that taketh away the sins of the world!!”. But 41 years later, the second Temple would be destroyed by the Romans, in 68 AD. Zionism, as we know it today, began to intensify. The people were scattered. The beloved place of worship (again) destroyed, and the period of the gentiles would begin, with them occupying the land. The evil Catholic regime would covet the “Holy Land”, and would give birth to the religion of Islam, in an effort to clear out the Jews and possess the land given to Israel by Yehovah. But the Muslims double crossed the Pope, and kept Jerusalem for themselves. They then built the Dome of the Rock on the Temple Mount. It was erected by the Muslim ruler Abd el-Malik in 688 – 691. This was a thorn in the side of the Jews, adding insult to injury. This may have been the time that we can point to when the belief system of Atheism crept into the ranks of Judaism. The belief that “no god would allow this to happen”, the yearning of the people for Israel to return to its former glory and independence, along with the godly belief that the third Temple would someday be built, are the main ingredients of Zionism…, in my view. Next, we’ll try to dig into the truthful history of what we know of modern Zionism. You may also purchase this writer book which is entitled; Moses Didn’t Write About Creation.